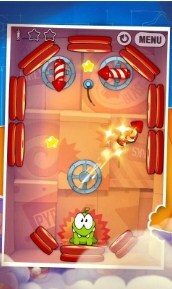 Overview: Experiment to feed Om Nom candy! 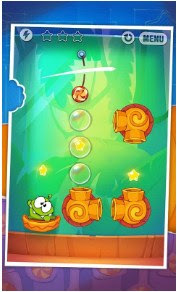 Cut the rope like never before. Everything you love and new gameplay! 200 levels and more to come! The little green monster Om Nom is back and hungrier than ever! 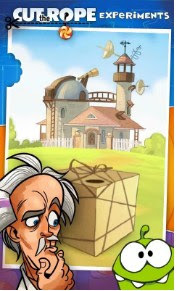 Team up with the Professor, a mad (but not bad!) scientist determined to study Om Nom’s candy-loving behavior through a series of experiments. 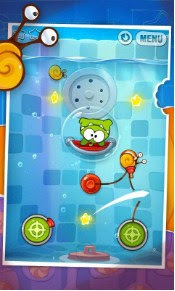 Use suction cups and other funny devices to collect shiny gold stars, uncover hidden prizes and unlock new levels! 1.09.2017 – No changes indicated.